Jack in the Box released a controversial ad for its new teriyaki bowls, and critiques are pouring in. The fast-food chain’s mascot uses the word “bowls” as a play on words. 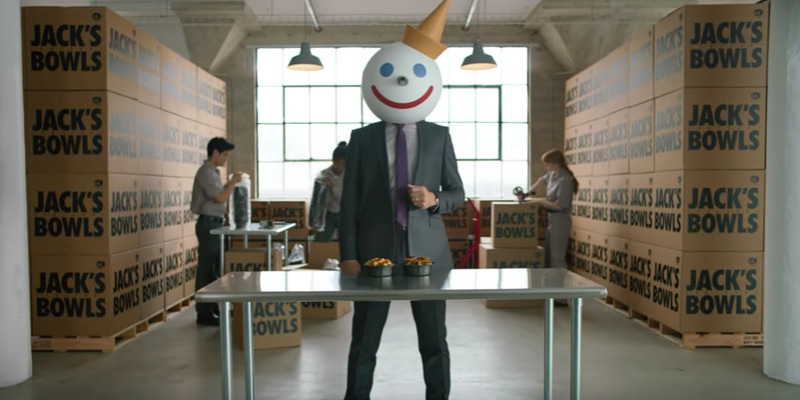 The company launched a commercial featuring its mascot and fictitious CEO, Jack, bragging about the burger chain’s new teriyaki bowls. Jack, who wears a fake clown-like head, is seen using the word “bowls” as a play on words suggesting to viewers that he’s actually referencing male genitalia. In the clip, each person is seen holding two bowls near their waistlines. “In perhaps its most telling moment, the ad tries to go meta by having a lawyer explain to Jack that the campaign is inappropriate, but (in a commendable accurate portrayal of male executives), he doesn’t understand what the fuss is about,” Griner wrote. Other brand strategists on Twitter also criticised the ad, saying it’s “not the right time” for such content. Jack in the Box and the ad agency behind the campaign, David and Goliath, have defended the commercial. “[A]s a brand known by its fans for its tongue-in-cheek, playful sense of humour, this ad is simply a creative and humorous expression around the teriyaki bowl product,” the companies said in a joint statement to CBS News. In a description to the advertisement uploaded to YouTube, the chain also defends the commercial. “Jack in the Box wants it to be known that any of the following phrases are simply a reference to Jack’s delicious Teriyaki Bowls,” the description reads.